Download Udaari OST title song in MP3 format. This song has been sung by Hadiqa Kiani along with Farhan who is also the part of drama Udaari. 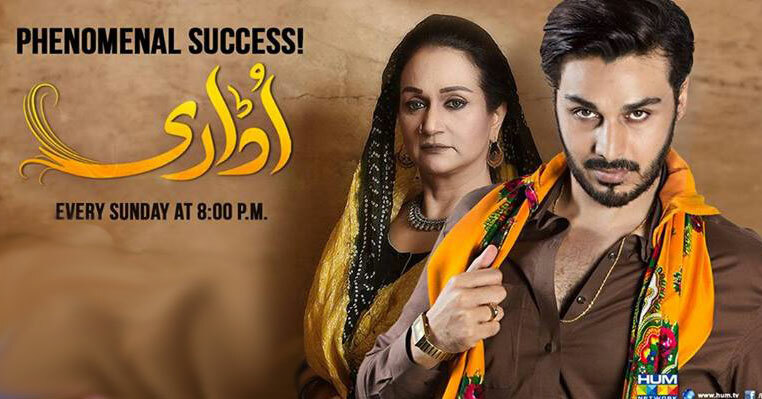 Udaari is one of the most popular dramas of HUM TV due to its new story and the great acting by the team. Specially, the role of Bushra Ansari is getting popular due to her funny dialogue where Bushra Ansari did justice with her role in the drama. In start of the drama it was rumored that the Pemra has banned Udaari but there is no truth behind the news. Udaari is a different drama than we are seeing on other televisions at the moment because writer has focused on important issues of the society which includes education for girls, sexuality, music and somehow the life of village and big city. If you are one like me who like to see drama other than saasbahu and love stories then Udaari is a perfect choice to watch. Following I am sharing the download link of Udaari title song in MP3 including lyrics and option to listen online. The lyrics of the following song may have some mistakes specially in the Punjabi part of the song because I am not very good in Punjabi so If you found any mistake, do share with me so i can make is correct.